Our Compatible Toner Drums are guaranteed to give you the same results as new Brother toner drums. Save money without compromising print quality! This kit contains 120 grams of cyan toner powder (1 refill) plus instructions. This kit contains 240 grams of cyan toner powder (2 refills) plus instructions. 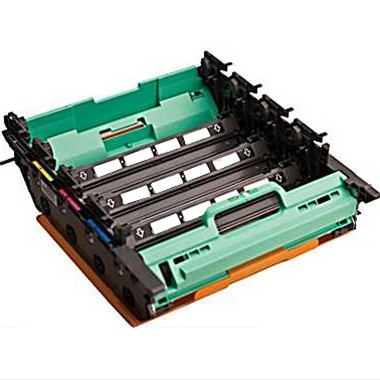 IMPORTANT: TN315C STARTER cartridges (the cartridges that come with new printers) are missing a gear which is required to reset the toner level. We have these gears for $3.95, and they're required to successfully refill your cartridge. This kit contains 120 grams of magenta toner powder (1 refill) plus instructions. This kit contains 240 grams of magenta toner powder (2 refills) plus instructions. IMPORTANT: TN315M STARTER cartridges (the cartridges that come with new printers) are missing a gear which is required to reset the toner level. We have these gears for $3.95, and they're required to successfully refill your cartridge. This kit contains 120 grams of yellow toner powder (1 refill) plus instructions. This kit contains 240 grams of yellow toner powder (2 refills) plus instructions. IMPORTANT: TN315Y STARTER cartridges (the cartridges that come with new printers) are missing a gear which is required to reset the toner level. We have these gears for $3.95, and they're required to successfully refill your cartridge. IMPORTANT: TN315BK STARTER cartridges (the cartridges that come with new printers) are missing a gear which is required to reset the toner level. We have these gears for $3.95, and they're required to successfully refill your cartridge. This bulk toner is NOT generic toner. It is manufactured to match the TN310M toner, and is guaranteed to meet or exceed your current print quality. Order up to 10 bottles - Note: You will receive bottles of toner only - no refill tools or instructions. 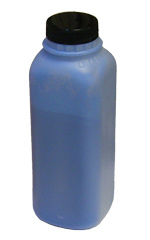 CYAN Toner - These Bottles each contain 120 grams of cyan toner and will provide one full refill for your TN315C. 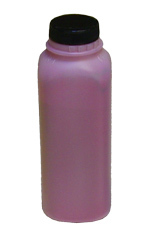 MAGENTA Toner - These Bottles each contain 120 grams of magenta toner and will provide one full refill for your TN315M. 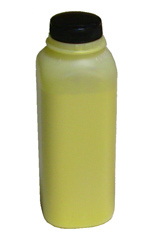 YELLOW Toner - These Bottles each contain 120 grams of yellow toner and will provide one full refill for your TN315Y. BLACK Toner - These Bottles each contain 150 grams of black toner and will provide one full refill for your TN315BK.